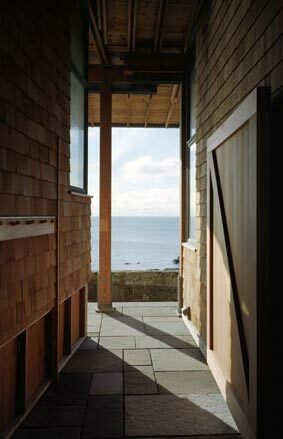 I love it when architects manage to successfully blend their architectural creations into the surrounding landscape. 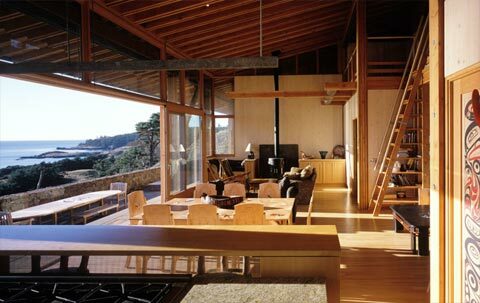 And the Reeve Residence is no different – a 2,800 sq. 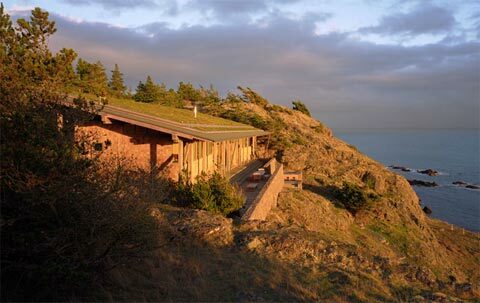 ft. coastal home beautifully nestled into a cliff face on Lopez Island, Washington. 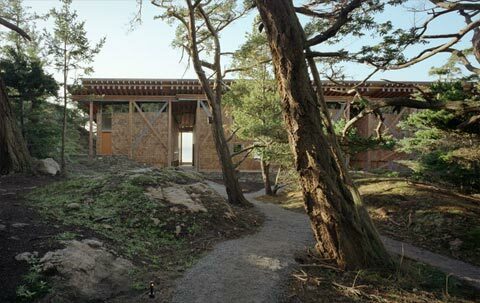 One of the main features which further emphasizes the dialogue between the structure and the landscape, is the angle of the pitched green roof which compliments the weathered trees nearby. 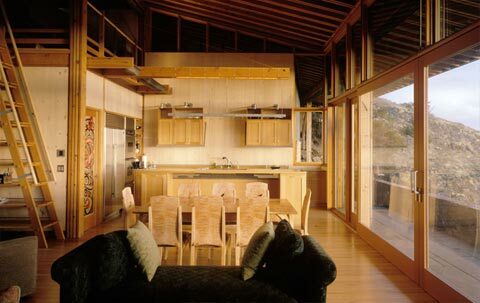 Moreover, the architects utilized one simple roof to cover all three units composing the house – bunkhouse, great room, and master suite. The owners get to enjoy both worlds – on one side is the forest, on the other the sea. The spacious great room opens up to the waterside terrace, extending the space and revealing breathtaking views of the Strait of Juan de Fuca.